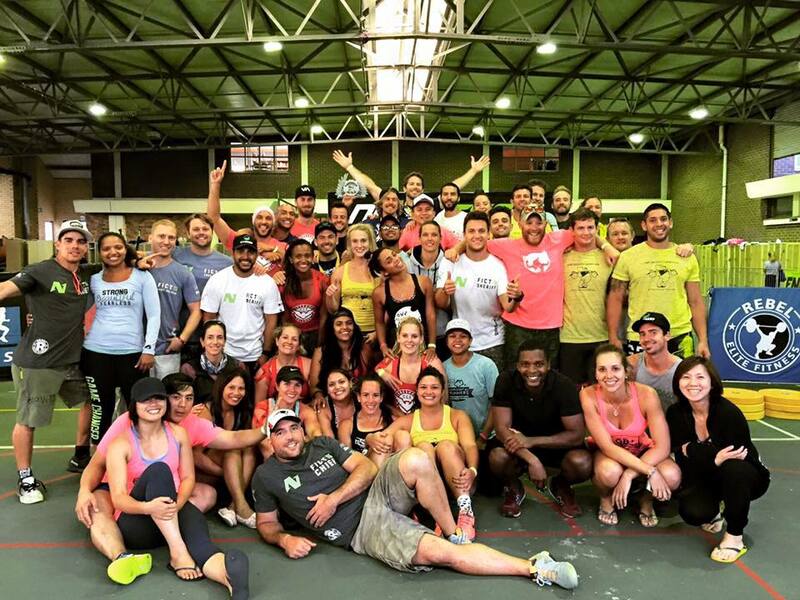 Fittest in Cape Town 2016 - What a weekend! We won, in more ways than we thought possible. Yes, I am biased. 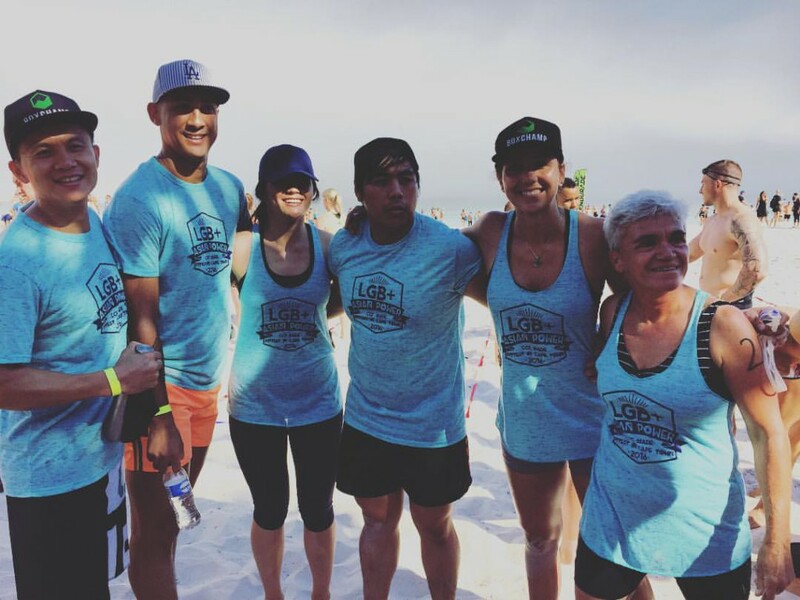 I ran the competition (with the help of an amazing support team) and I am also very biased in my love for Cape CrossFit - but seriously what a weekend!? The CCF Family. [/caption] The Wolfbadgers won the competition, more on that later, but more importantly the CCF Family won an even stronger community bond and an amazing team spirit along the way. As the competition director I didn't have many chances to see how "my" athletes were doing but I could definitely HEAR the support they were receiving from the stands - and, I could also see the incredible support ALL the competing boxes gave to each other which made us even more proud of this event as the main idea is exactly that: to strengthen the Functional Fitness Community in South Africa. But wait, I'm getting a bit lost in the complexity of running the event and being the coach for the CCF teams. Maybe because I this time around felt very little like their coach, they did it all on their own and yet I am prouder than I have ever been with what our guys and girls did..
Full effort = Full victory. Which basically means that all our teams are winners. After gathering some inside info from the competing athletes and even some spectators I can easily say that the CCF Teams gave it their very best. 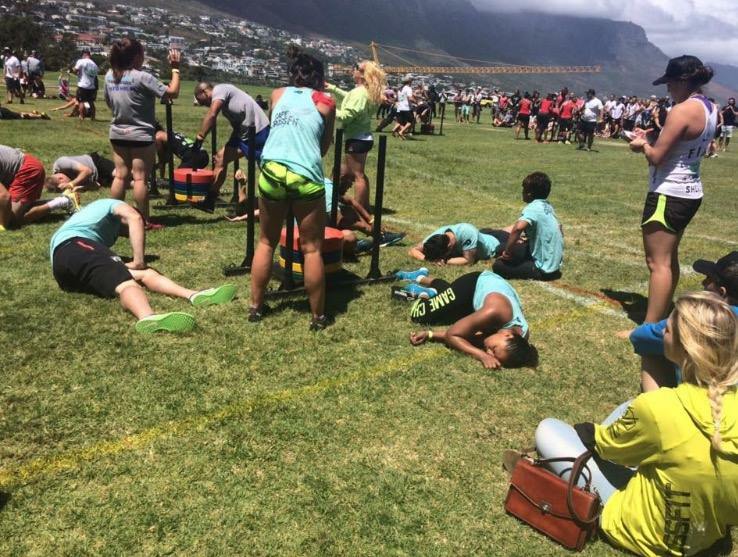 From attacking a nasty Beach WOD (first ever Ocean Swim event in a "high profile competition" in South Africa to our knowledge) to destroying their legs in one of the nastiest Sled WOD's ever programmed these guys and girls gave it their very all the entire weekend long. These are the rankings of our teams and some pics of them from the comp! 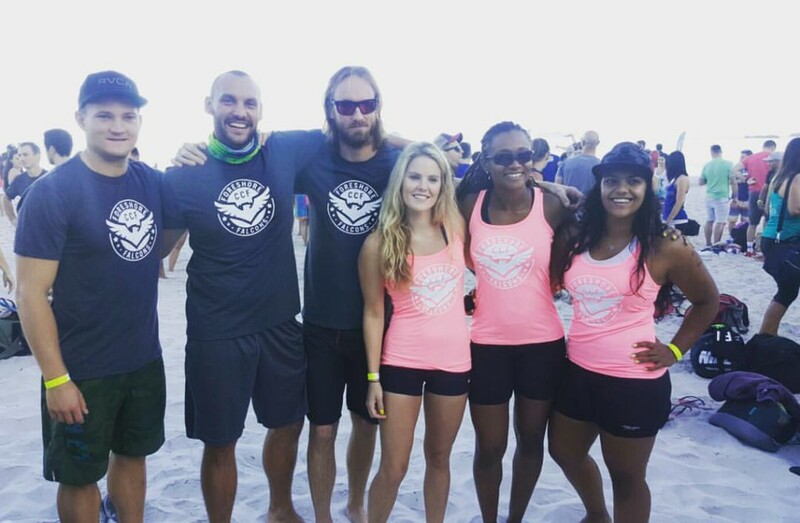 From left to right: Jimmy, Gary, Li-Ya, David, Jeanine and Louise. 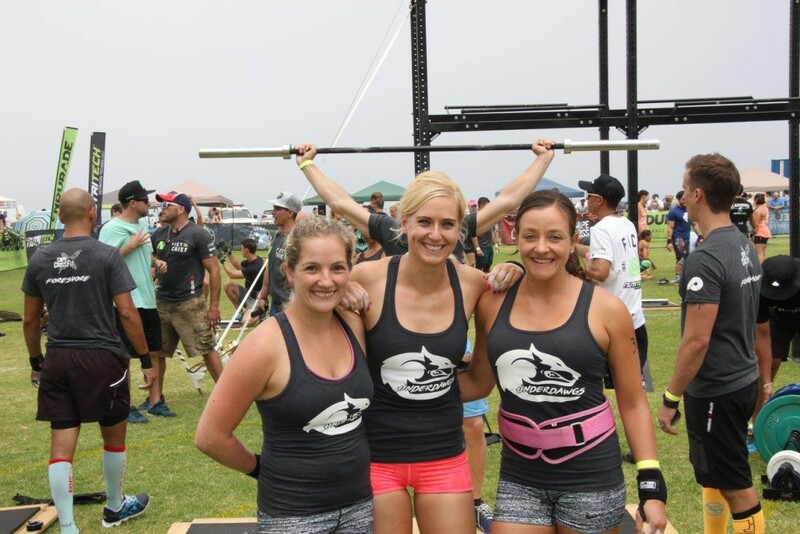 "The CCF Foreshore Underdogs" - 45th Place: Ladies first: Lionie, Nicky & Yolande, Men (too busy lifting weights) Brad to the left, Louw behind the girls and Jethro to the right. 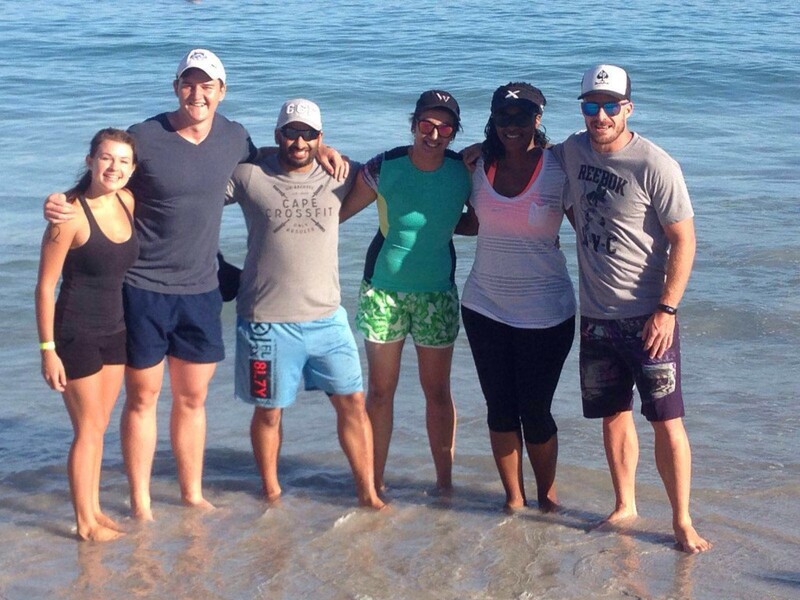 From left to right: Jenny, Josh, Imran, Hajie, Thoko & Vaughn. 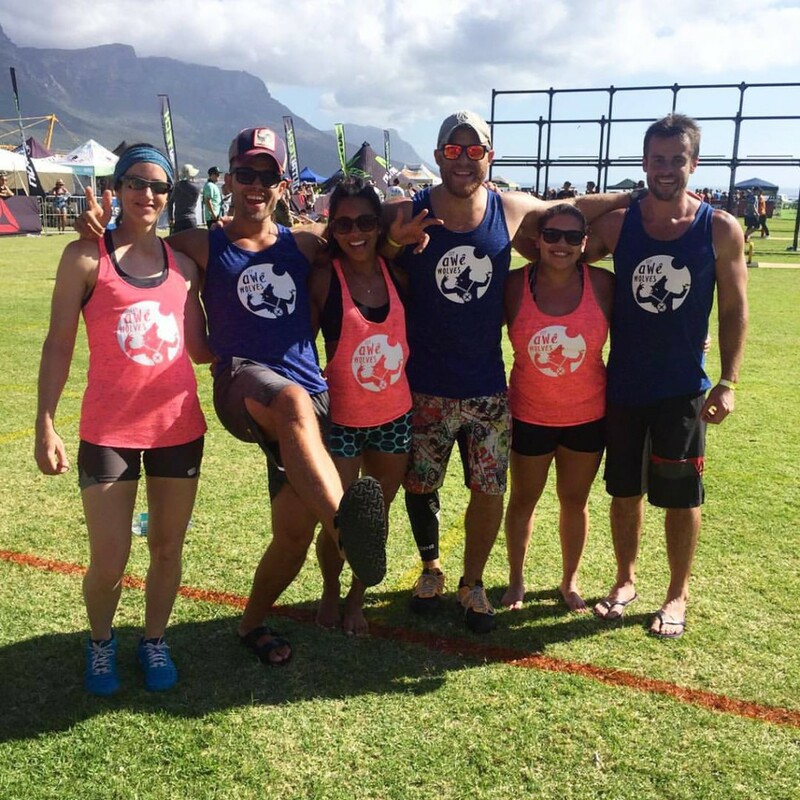 Men to women: Dewald, James, Seb, Chelsea, Monica, Tamara. 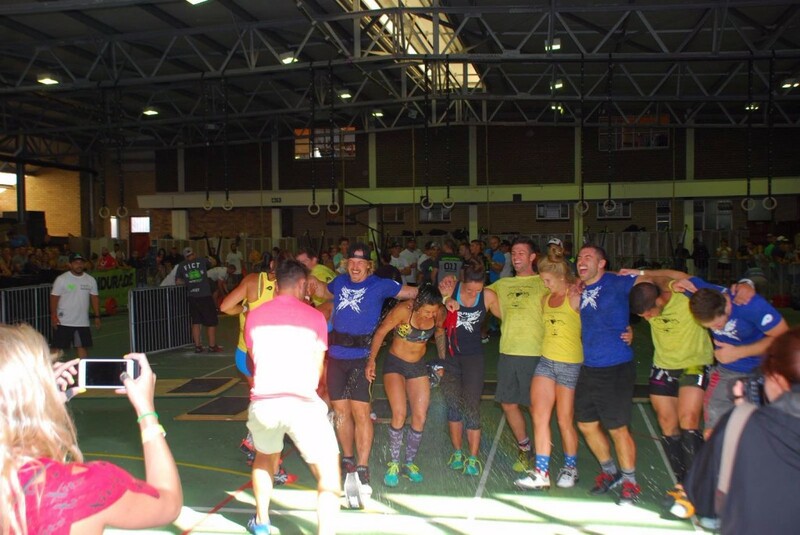 "CCF Awe Wolves" - 29th place: Ladies & Gentlemen: Adi, Leandro, Taryn, James, Zita & Arthur. "CCF Honeypack" - 6th place: These guys were clearly too busy smashing the comp to take pics, this is the best one I got - in yellow mixed with he Wolfbadgers: Tammy, JP, Niall, Diane, Pedro, Lisa. "CCF Wolfbadgers" - 1st! Ladies: Vicky, Tash, Kelly - Men: Justin, Matt, Mark. Individual Superstar, Lara Erlank - 3rd! 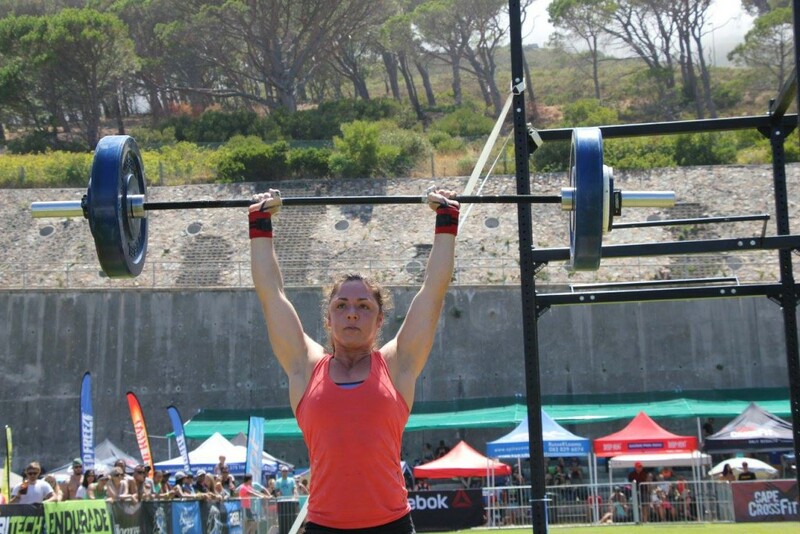 Lara fought hard in one of the strongest fields in SA, ever, and after multiple WOD wins she stepped up on the podium in third place - we are super proud of you! I also need to give a huge shoutout to the rest of the competing boxes this year. 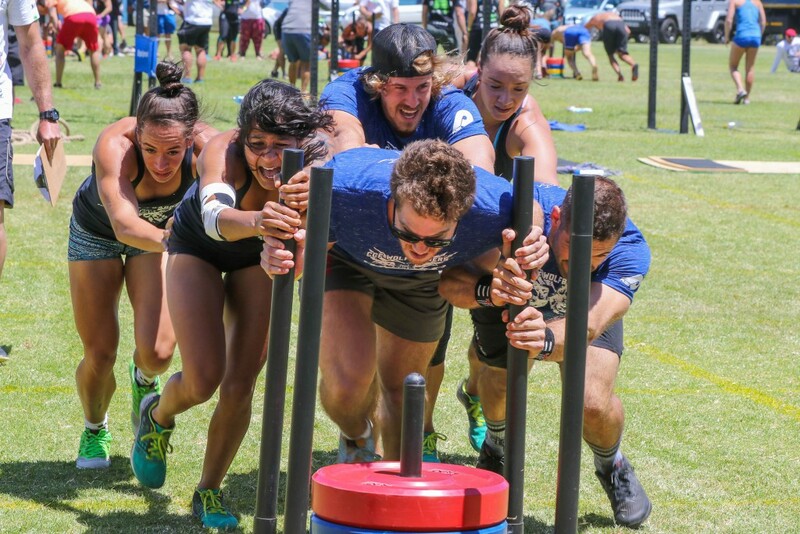 Not only is our athletes becoming A LOT stronger and fitter, but the level of competition is also higher than ever in our region. I am also super impressed and proud of the community feeling we see between the boxes these days. Maybe the days of one big community standing together is finally here? On our side we had 8 teams between our 3 CCF boxes in this competition and we keep on growing as a community. Our support for each other became very apparent when the entire inside arena was bustling through the Team Finals where the other teams was cheering on the two CCF teams still competing in a way I have only heard at football stadiums before and as much as I made sure to always have a very neutral stance, (heck I no repped more CCF athletes than athletes from other boxes over the weekend), that moment still gave me goosebumps.. Not sure if I can ever again handle the stress of not being there for my athletes, but then again the result seem to be speaking for them not needing me there anyway. The capacity to not only perform, but also doing so while figuring out your own strategy for the events speaks highly of these athletes future. CCF Family for life. Coach Chris.